This study attempts to reveal the role of natural gas factor in Russian-Turkish-Israeli relations in energy sphere. In this context, the study deals with bilateral agreements in natural gas sector, existed gas pipeline routes and international projects on development of natural gas fields, its production and further transportation. 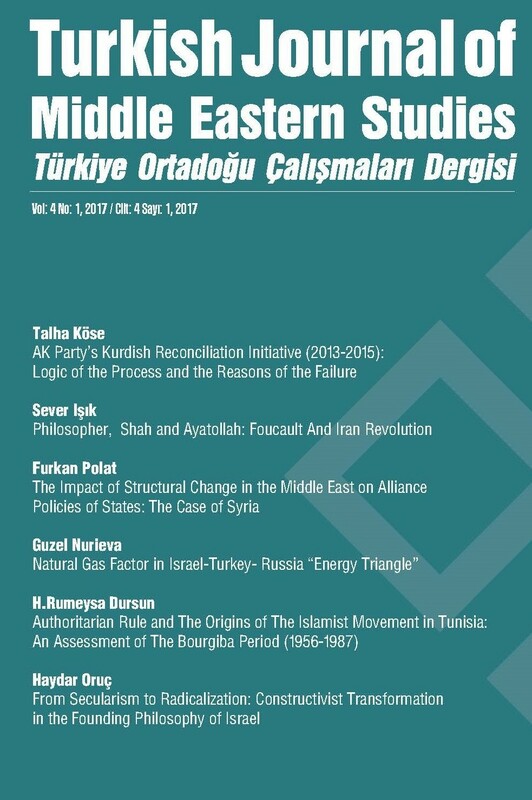 In order to display the interdependence of energy policies of the three states the study ends up with Russia-Turkey-Israel “Energy triangle”. Bu çalışma, enerji alanındaki Rusya-Türkiye-İsrail ilişkilerinde doğal gaz faktörünün rolünü analiz etmektedir. Bu nedenle çalışma, doğal gaz sektöründe, belirtilen ülkeler arasında yapılan anlaşmaları, varolan doğal gaz boru hatları ve doğal gaz alanlarının geliştirilmesi, üretimi ve nakliyesi konuları üzerine hazırlanan uluslararası projeleri ele alıyor. Üç ülkenin enerji politikalarının karşılıklı bağımlılığını göstermek için bu çalışma, Rusya-Türkiye-İsrail "Enerji Üçgeni" ile sonuçlanıyor. Ariel Cohen, Russia: The Flawed Energy Superpower, “Energy Security Challenges for the 21st Century” edited by Gal Luft and Anne Korin, Greenwood Publishing Group, August 2009. Aybars Görgülü, Sabiha Senyücel Gündoğar, “Energy Relations between Turkey and Israel”, “Middle East and North Africa Regional Architecture: Mapping Geopolitical Shifts, regional Order and Domestic Transformations”, No. 3, November 2016. Ilya Bourtman, “Putin and Russia’s Middle Eastern Policy”, The Middle East Review of International Affairs, Volume 10, No. 2, June 2006. Robert O. Freedman, “The Russian Invasion of Georgia – Its Impact on Israel and the Middle East”, Autumn 2008.